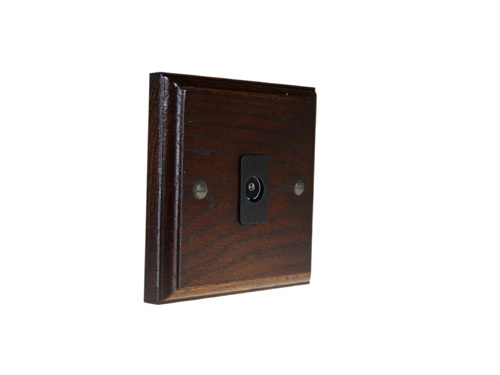 Classic 1Gang TV Co-axial Non Isolated Socket with Black trim, Manufactured in the UK from Solid oak with Ovolo Moulding. These beautifully hand crafted sockets will give a unique distinctive style to any interior. Plate size 96mm x 96mm x 15mm.